I am wondering if this is rodent activity or hornworm or hail damage. . . I just don't know. I've searched and searched and have not found any hornworm. We had a hail storm the evening of the 4th. I'm wondering if that caused this damage? I'm posting a picture and any insight would be *very* appreciated. I grew all my tomatoes from seed and this is crushing me. It's not looking like hornworm damage to me. I would think you would know if it were hail damage, because then your whole garden would be damaged with holes in the leaves and damage to all different kinds of plants. 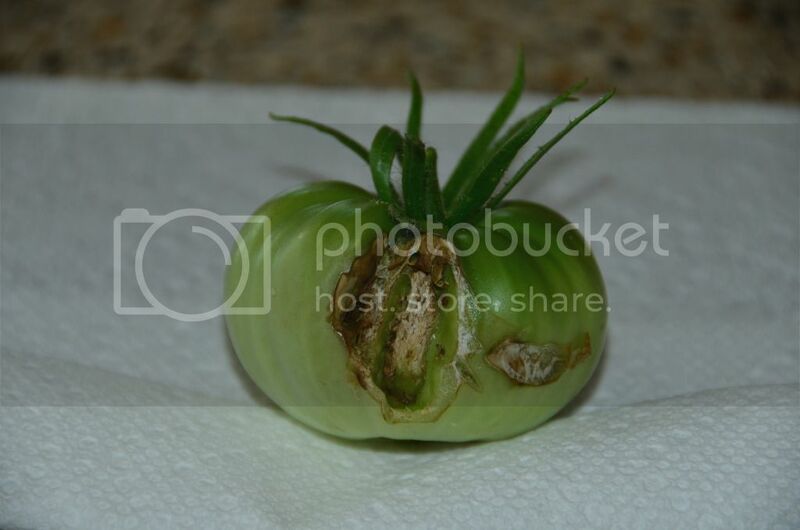 If this is localized to tomato fruit, I doubt hail could be selective like that. There was pretty widespread hail damage in the garden. Some branches were broken on the tomato plants, holes in leaves, blooms knocked off, etc. 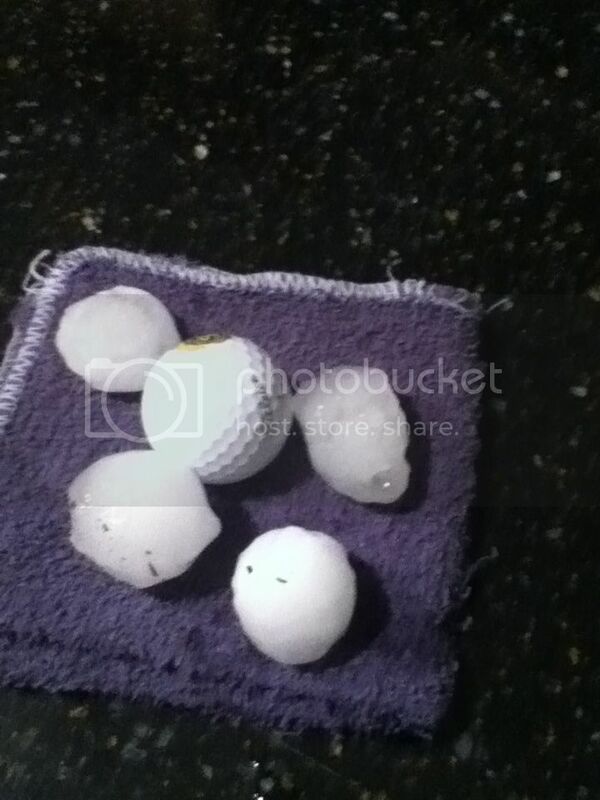 The hail was probably around pingpong ball size. Below is a pic of the hail.